Acne occurs when tiny glands beneath the skin surface, sebaceous glands, become blocked with sebum, an oily material normally excreted by the skin to keep it healthy. This occurs due to over production of oil and shedding of cells lining the oil gland hair shaft unit. If clogged, bacteria can grow in the glands, which in turn causes swelling and inflammation on the skin’s surface known as pimples. This can occur anywhere where there are hair follicles projecting below the skin surface, including the face, back, and neck. 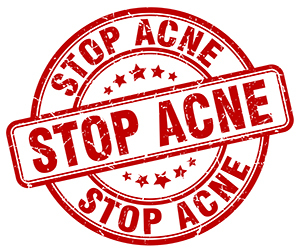 Acne affects adults as well as teens, but more commonly occurs during times of high hormonal activity like adolescence. There are a numerous approaches in treating acne and the associated scarring that can occur. Your Dermatologist can advise you regarding appropriate cleanser, moisturiser and sunscreen options to use in the context of acne. Often this needs to be customised to suit individual needs. Topical creams or gel based medication options help to reduce oil production and cell shedding that drive the formation of acne. Antibiotics have an anti-inflammatory component that is useful in inflammatory (red and painful ) acne. Antibiotics should never be used as the only treatment. Use of antibiotics should ideally be limited to 3-4 months to reduce antibiotic resistance. Oral contraceptive pill / antiandrogen medication. 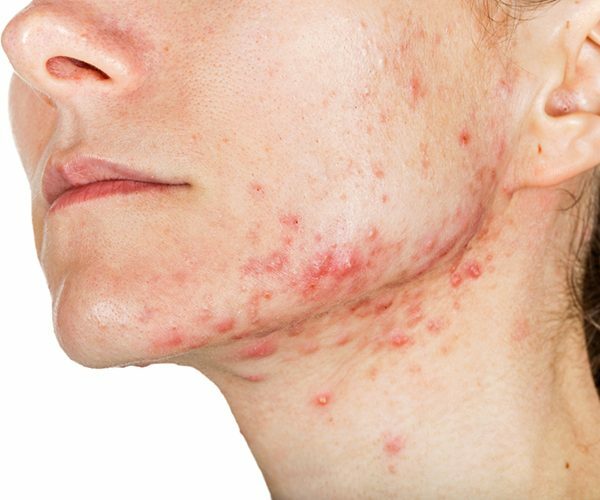 Controlling hormonal triggers in women using the oral contraceptive pill may be a useful additional treatment to control acne, especially when the ance is associated with menstrual cycle flaring. Kleresca is a drug-free, non-invasive relaxing procedure that treats acne and associated scarring by stimulating your skins own repair mechanisms. 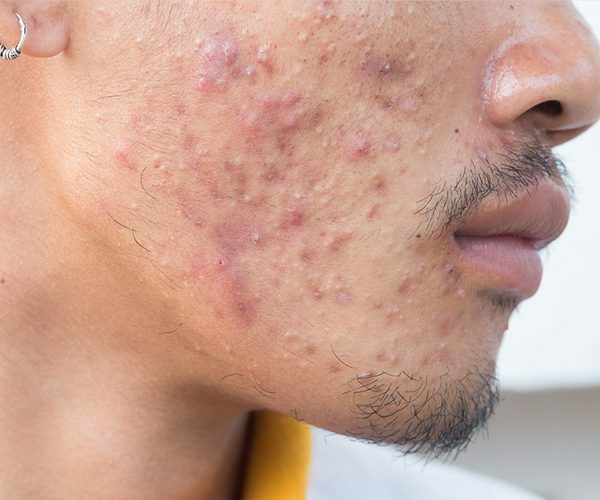 Isotretinoin (Roaccutane) is the mosteffective treatment for severe acne that is threatening to scar and for acne that is wide spread (difficult to treat with topical therapy). Current regimes are customized to the patients with low dose treatment offering an effective treatment that is very well tolerated. The use of Isotretinoinrequires close consultation with your dermatologist. Intense pulsed light . On occasion when other medical treatments are not possible IPL can be considered for mild to moderate inflammatory acne. All treatments haves risks and side effects that must be carefully discussed with and monitored by our dermatologist. 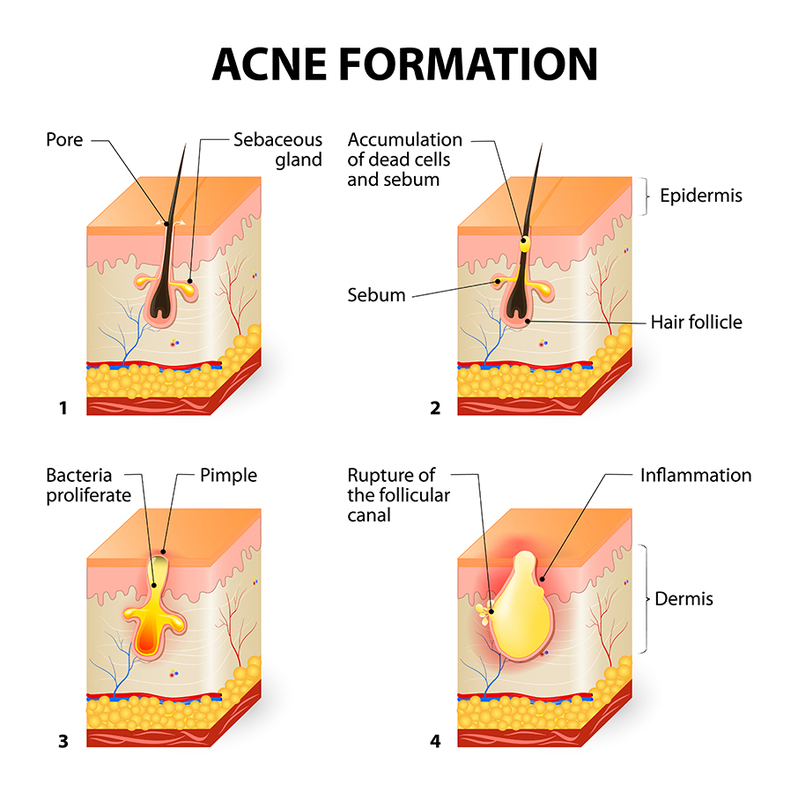 The first step in a treatment plan for acne is a thorough consultation with a dermatologist. They will examine your skin, recommend the best type of therapy, which may include a combination of therapies, and work out a long-term plan for containing the condition. The key to treating acne scars is prevention. Mild to moderate scars often will resolve once the acne is controlled. Discuss treatment options with your Dermatologist.